There are many iconic Amiga people. One of them is Grzegorz which is the person behind drivers and software for the Prometheus PCI addon and even RastPort. Here he also reveals something interesting about something that he is working on. This interview was done randomly and now I have gathered all of the answers for you to read. Let the questions by RastPort Amiga hardware developer be Answered… ! 1. Thanks for letting me interview you. I have been interested in you as a person. Can you tell our readers a bit about you? Who are you? I’m 46 years old electronics engineer, living in Bialystok, a city in north-eastern Poland. Married, two children, two cats. 2. How did you become interested in the Amiga platform? When did it start and how? I’ve been interested in computers since my childhood. My parents could not afford to buy one, unfortunately. I have used Commodore 16 and Timex 2048 in primary school, also my cousin had an Atari 65XE. At end of secondary school (which was in 1992) I’ve got a government scholarship prize, so I could buy my first own computer. It has been a second hand Atari 65 XE. However even in Poland at that time 8-bit computers were slowly being replaced with more powerful machines. I’ve considered Atari ST first, however, my two schoolmates strongly advised other options. One suggested PC AT (286), another one had Amiga 1200. Both of them showed me their machines and some software. Amiga won. However, A1200 was way too expensive for me then, so finally, in 1994 I’ve bought a used Amiga 500. The first program I’ve started on it was… No, not a game. It was ProTracker. Overwhelming experience. Of course, there was a lot of gaming as well. But as I was also very interested in programming (played with assembler on Atari earlier), I’ve tried it on Amiga as well. My first program was some homework for my studies (I started to study electronics at a university in the meantime). I wrote it in Amiga Basic… Then I moved to M68k assembler and C language. And discovered AmigaOS at the same time, from a programmer’s point of view. So I’ve expanded my A500 with harddisk, fast RAM and Kickstart 3.0 (pirated, as every software in Poland these days…). In 1997 I’ve got some holidays job on a construction site. Then finally I could afford an Amiga 1200. Followed by Blizzard 1230-IV with 16 MB RAM. By the year 2000, I was an Amiga die-hard. Got 040 an accelerator card, famous M1438 multisync monitor. Also went into the Internet with my Amiga (19200 bits per second, my god…) Believe or not, I bought my first PC computer only in 2013. Of course, I’ve worked on PCs before, but did not own one. 3. What did Amiga give you that the PC lacked? Why didn’t you follow others over to Windows or even Linux? Slowly Amiga magazines died out one by one, retailers also stopped supporting Amiga etc. Didn’t this affect you? Well, it is hard to say, and it is a bit irrational. I have been attracted by the simplicity and beauty of the design of AmigaOS. 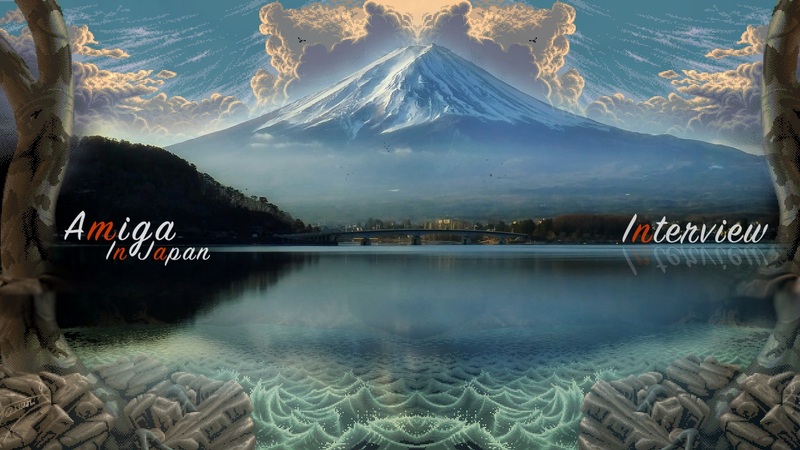 It may sound strange for regular users, but programmers can see beauty between lines of code. In Poland, Amiga went of out mainstream slower than in Western Europe. While Commodore went bankrupt in 1994, here Amiga could be considered mainstream up to 1999. In 2000 I’ve started work on Prometheus, so I’ve got really pumped up Amiga 4000 with 060 and PowerPC on board. 128 MB fast, Ultra SCSI hard drive… Really high-end config. So PCs were not so impressive to me. Then in 2003 I jumped into MorphOS and got Pegasos II machine from Genesi. 4. How did you learn to code on the Amiga? What did you make? Is there something that you are really proud of? Like most of us, I’ve learned it from magazines including diskmags. Books were hard to obtain, but I managed to get some later. Plus lots of time and experimenting. While I wrote 20 or so small programs for Amiga and uploaded them to Aminet, I consider Prometheus (Zorro III to PCI bridge) and Reggae (multimedia framework for MorphOS) my biggest achievements. 5. Wow. This is the PCI cards that you attach to CyberstormPPC from DCE? Can you reveal about that work? How was the communication between Thomas Dellert and you? Did you make drivers for it? Something else? No, Prometheus is a card inserted into Zorro III slot. PPC is not required. Yes, Matay financed development and production. I have been an engineer on a contract with them. 6. Nice. What did you do for Prometheus? Almost everything: design, prototyping, writing part of drivers, coordinating production and testing. Matay took care of finances, advertisement, distribution etc. As for drivers, I wrote the basic driver, prometheus.library. It detects Prometheus, then detects cards, performs basic PCI configuration, assigns base addresses and presents detected cards to particular drivers. I also wrote SANA-II network driver for cards using Realtek 8029 chip (10 Mbit/s). Drivers for graphics cards were written by Tobias Abt and Alexander Kneer of P96 team. They got two early Prometheus prototypes except for final version later. 7. What happened to Matay? What happened to Prometheus? Did the product sell well? In my opinion, considering the shrinking Amiga market, the first production run was too big. So it was the last product of Matay unfortunately. In Poland or in overseas? 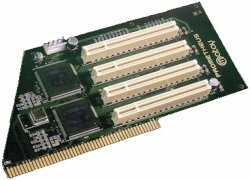 Elbox and DCE also launched PCI Expansions for classic Amiga. When you browse through old Elbox adverts, you will find a product named “Mediator Z III”. I’ve never seen one or even a real photo. They later removed it from their listings, but the damage has been already done. Anyway old story not worth digging into. 8. You mentioned MorphOS. What sort of work did you there? Many ask me about where is MorphOS going. What sort of future do you think that AmigaOS compatible OS will have? What sort of work did you do there other than Reggae?.. Reggae is for sure my biggest MorphOS work. I also worked on some system components like bugreport.library, charsets.library and others. I wrote a few small applications released independently of MorphOS releases. As for MorphOS future… I’ve left this system in October 2015 so I do not know current team plans. Amiga Classic is more fun or did you do it because of bigger userbase or just interest? All the three reasons in fact. Any “Amiga NG” system has the tendency to borrow code from Linux. It is unavoidable when writing utility software. At the same time, it is extremely boring to me. Also, I’m an electronics engineer, NG systems leave no place to have fun with soldering iron. These computers use standard PC peripherals, also are too modern to effectively make internal modifications. 9. And now I let you introduce to the world what RastPort is. What is it about? Why did you start it up? Is the classic Amiga interest starting to grown again worldwide? Do you think that Apollo Team got something to do with re-birth of the classic Amiga? Well, RastPort has been founded as a response for demand. After I have got an A1200 again in October 2015 I wanted to use an SD card as a hard disk. I’ve quickly discovered the problem of HDD LED being on constantly. Also, mounting SD2IDE inside Amiga was problematic. Then I have designed a connector known currently as KA47. I’ve planned to make just one for me. However, the minimum quantity in the PCB factory was 10 pieces. Then I’ve made two and offered the rest of connectors on Polish Amiga Portal (ppa.pl) forum. They have been sold in 2 days, and people wanted more. Later I also offered them on AmiBay. One of the users asked me if I could design a similar connector with an additional 3.5″ port. I’ve designed KA60 then. The next thing was the MIDI interface, I wanted one and discovered there are none on the market, except second-hand ones. Finally, I have decided it is time to switch from hobby sales to registered business. RastPort has been founded 14 Feb 2017. Do you think that the Apollo Team got something to do with the interest for classic Amiga interest getting higher? Many Amiga retailers were afraid that they would destroy the competition but now the same companies are selling Vampire cards and they are happy. Any comment on this? As for Apollo Team, they have their share in classic Amiga renaissance, but they haven’t been the trigger in my opinion. About destroying competition… One could afraid it when they announced Vampire, sold for 90 EUR. Now the card costs over 300, in my opinion now there is a place for simpler and cheaper accelerators. After Amiga32 in Neuss, Germany. Something happened. How did you feel the change from 2017 until now? Amitopia Amiga Magazine gets more questions and more activity now. I feel like we’re back in 1998 but now we’re progressing ..
From my point of view, people realized that “NG Amiga” is a dead end, no matter if we talk about OS4, MorphOS or AROS. So there is no point in racing with mainstream computers. Enjoying retrocomputing is much better. 10. What do you think of the new Warp accelerators that are now getting made in Poland? It is a very ambitious project, development progress is fast. I expect it to be a high-end product, very expensive and produced in small quantities. Limited availability of original processors and RoHS conformance will be the main obstacles. I can reveal that Chucky got a handful of 68060 CPUs.. they will co-operate. He got a large quantity from China. Still, 68060 is not conforming to RoHS as far as I know, so one cannot issue CE conformance statement. On the other hand with such low production volume, it is possible that “nobody notices”. 11. What is the best selling product you’ve made? And do you have a roadmap for new products? Do you have plans for new products? KA47 and KA60 are still bestsellers and are still ordered by distributors. New products… I have already announced SP12. It is basically an interface connecting Amiga with Raspberry Pi Zero computer via clockport. It allows using Raspberry as – for example – a cheap graphics card for Amiga. Interesting. 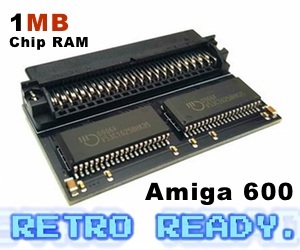 So the Amiga can use Raspberry Pi gfx chip. Any plans regarding a Picasso96 driver etc? How about sound? The sound is possible, but only as HDMI output. Raspberry Pi Zero has no analog sound output. So, Raspberry could give Graphics, Sound and even Ethernet possibilities. This is for sure a very interesting project and a really cheap upgrade also! Smart. Picasso 96 is not optimized for cards, which gfx memory is not directly mapped in M680x0 address space. Then the plan is to write own driver. As seen from the applications side, it will provide CyberGFX compatible API. I didn’t know that. Interesting. A driver that can talk with the different parts of Raspberry Pi. That would be a safe way to put a graphics card into the A1200. Also, it would be a lot cheaper than an Indivision or even a Vampire. 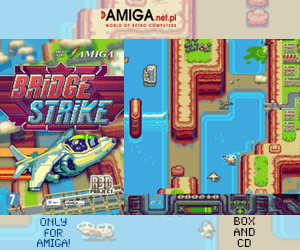 Affordable is something that the Amiga market needs. However one has to take into account some disadvantages of such card. Data transmission speed is 1 MB/s. It is even slower than Zorro II. Then watching animations/movies with existing software or playing Doom is out of the question. On the other hand, the full implementation of OpenGL ES 2.0 is available. Including shaders etc. Looking at raw transfer kind of. However, ARM processor of Raspberry (running at 1.0 GHz) will be used as programmable blitter. Also, there is 440 MB of video RAM for onscreen and offscreen bitmaps. It must be faster than AGA etc? True. But in this case, AGA works just as a raw display device for frames rendered by 68060. AGA blitter is not used at all. 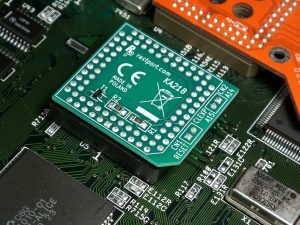 Processor simply throws frames into chip memory. The only thing that counts is fast RAM to chip RAM copy speed. That is why for example Doom on AGA+060 is faster than on Zorro II card. In spite of AGA requiring chunky to planar conversion for each frame. Moving pixels via Zorro II is the bottleneck in this case. It is even worse in my project. On the other hand things like drawing lines, rectangles, ellipses, blitting etc. will be very fast. Amiga will only send coordinates and dimensions, the drawing will be done by ARM processor in Raspberry. It accesses video RAM with practical speed well over 100 million pixels per second. The ability to run TVPaint etc on A1200 would be great yes. We will see how it performs. Very interesting. Hope you will succeed with SP12. At least it will be an inexpensive solution when compared to existing alternatives. The HDMI output is an advantage too. Switching to AmiBerry to would be a nice touch if at all possible… ? My solution does not use Linux. Of course, one can change the SD card and use Amiga only to power Raspberry… But then peripherals are still missing. 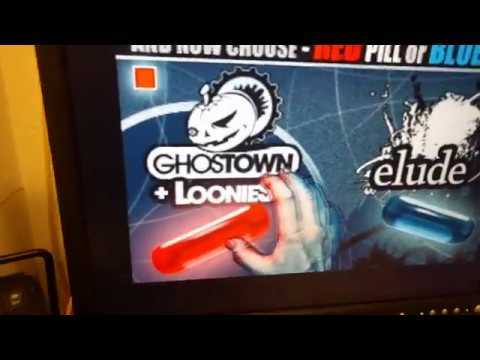 In theory, it is possible to modify Amiga emulator running on RPi to use Amiga keyboard and mouse via a clockport connection. 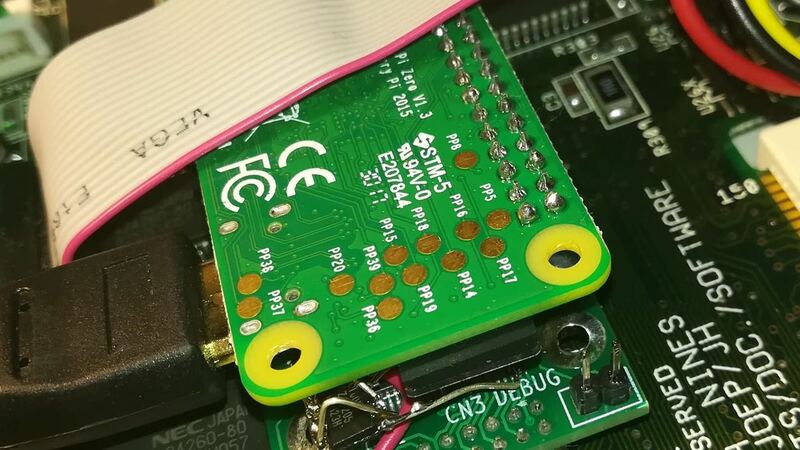 How about the Ethernet on the Raspberry Pi? Raspberry Pi Zero has no Ethernet. One could attach one via USB, but this requires USB stack. ahh, so only Raspberry Pi Zero will be supported eventually. Because of its size? 12. Very interesting answers from you. However, I need to know what you think of the Amiga future? What do you want to achieve with RastPort? Do you have any other project that is worth to mention? In my opinion, Amiga (especially classic) will continue as a vibrant retrocomputing platform. RastPort is partially hobby, partially small business. I do not plan the significant expansion of the business side. Just want to have fun and earn some extra money. 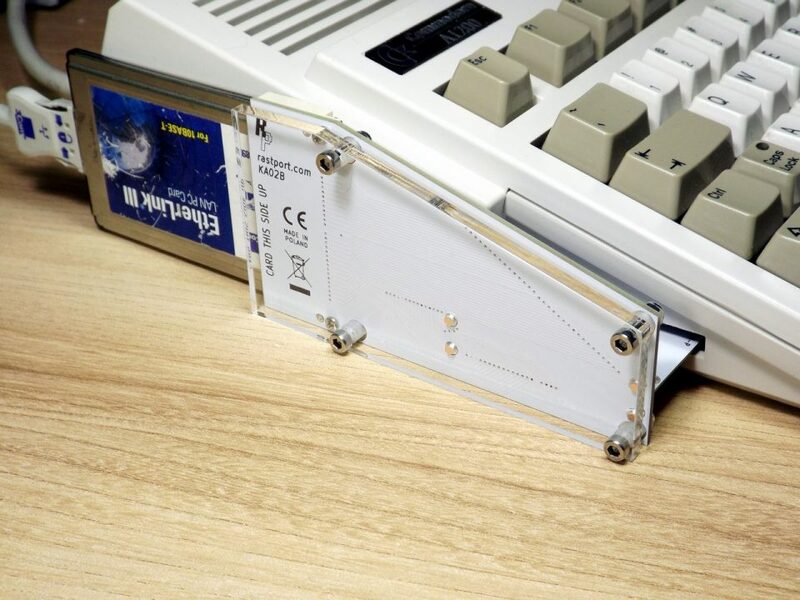 By the way, Amiga enthusiasts get some useful hardware. What do you think A1200 really needs? The Apollo Team is now looking at increasing the Chip RAM etc. Is such hack possible to do? Having 8MB Chip RAM for Dpaint anims to actually run in 1280×720 etc would be perfect. Yes, I have been painting in 1280×720 on my Indivision AGA mk2 .. but Chip RAM limit is killing it sort of. Out of mem etc. Is this even possible? One thing that would be nice is open-sourcing 3.x system and kickstart. However, considering the latest release of 3.1.4 it is unlikely to happen. As for pics, well you can just take them from rastport.com. Do you like the AmigaOS 3.1.4 release? What would you add etc? I have not tested it yet. Only read release notes and relevant thread on amiga.org forum. Seems like it is a nice update. I have installed it. It is nice. Especially a nice touch is getting rid of the 4GB limit and screen mode requester lets you test screen modes. 13. Almost done here. What can you tell about the Amiga community in Poland? It seems to me as if it is Poland and Germany that is the two biggest Amiga countries in the world right now. Our sponsor has revealed that most of their sales go to Poland and Germany etc. With the United Kingdom on a nice third. It is interesting seeing Amiga so strong there and it is one of the reasons for its survival. Can we thank the political past in Poland for that etc? Polish Amiga community is very social and good at organizing parties and meetings. The same on the Internet, The biggest Polish Amiga forum, ppa.pl has tens of new posts every day. There are also IRC and Discord channels, a Facebook group, there are also portals dedicated especially for AmigaOS 4 and MorphOS, but less crowded. Interesting if Kickstart is able to handle more chip RAM without modifications. Other than that I see no disadvantages of this. 14. At the end here. Anything you want to add for the Amiga community to know? Good luck to you and to RastPort. Hope it will succeed for you and that you continue to produce exciting gadgets for Classic Amiga. Well, I haven’t any particular message to Amiga part of the humankind. Just have fun with retrocomputing. Thanks to Grzegorz for answering my questions. I hope you had a laugh and learned something about Amiga and what he’s done and is doing for the Amiga home computer. So we do recommend you to visit RastPort and some of his dealers such as Amedia Computer France and Retro Ready. We at Amitopia thanks for his support for the Amiga computer and the fact that he never left. He reminds me about myself as I have always used Amiga’s since the very beginning. Today I am also using AmigaOS daily like him and hopes that with Amitopia Amiga Magazine we can encourage even more to continue using one of worlds best computers ever made. The Amiga future looks to be bright as ever thanks to such creative Amiga souls like him.